Panasonic Eluga Pulse X is a bigger variant of the Panasonic Eluga Pulse. It features a 5.5-inch display, which is bigger than the 5-inch screen on its more compact sibling. Panasonic Eluga Pulse X sports 50% more memory with 3GB RAM. It also has a bigger battery. Panasonic Eluga Pulse X sports a 5.5-inch IPS display with a resolution of 720 x 1280 pixels. It features a metal body with the front covered in Asahi Dragon Trail Glass. The camera setup appears to be the same with the Eluga Pulse. On the front, you have a 5 megapixels camera and on the back a 13 megapixels camera is provided. Panasonic Eluga Pulse X also features a fingerprint sensor on the back. Panasonic Eluga Pulse X runs Android 6.0 (Marshmallow) on a 1.25GHz quad-core processor with 3GB of RAM. 16GB of internal storage is provided, but you can add an extra 128GB via a microSD memory card. Panasonic Eluga Pulse X also supports 4G LTE with VoLTE. Panasonic Eluga Pulse X is not yet available in Nigeria, Kenya, or Ghana. It expected to launch in India in March starting at a price of Rs 10,990. We currently have no data on pricing and availability for Nigeria, Ghana, Kenya. 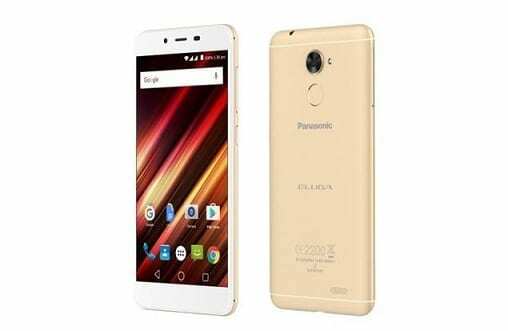 If available, Panasonic Eluga Pulse X Price in Nigeria is expected to range from 120,000 Naira to 200,000 Naira depending on your location in the country.